You never know whats around the Quarter. Tune in every Monday, 7:30pm-pst. Brought to you by Adidas, Roger Athletcis, 20 Second Fitness and ENTERPRISE Rent-A-Car. Join Oscar Lopez and Bj Coletta as they cover news and information from across the leagues. Jen Welter, Team USA and Dallas Diamonds. Lauren Evans FGLQLD & Karina Demant ACT Women's Gridiron Australia. You never know whats around the Quarter. Tune in every Monday, 7pm-pst. Brought to you by Adidas, Roger Athletcis, 20 Second Fitness and AVIS Rent-A-Car. Join Oscar Lopez and Bj Coletta as we welcome the Houston Power of the Women's Football Alliance. We will also cover news and information from across the leagues. 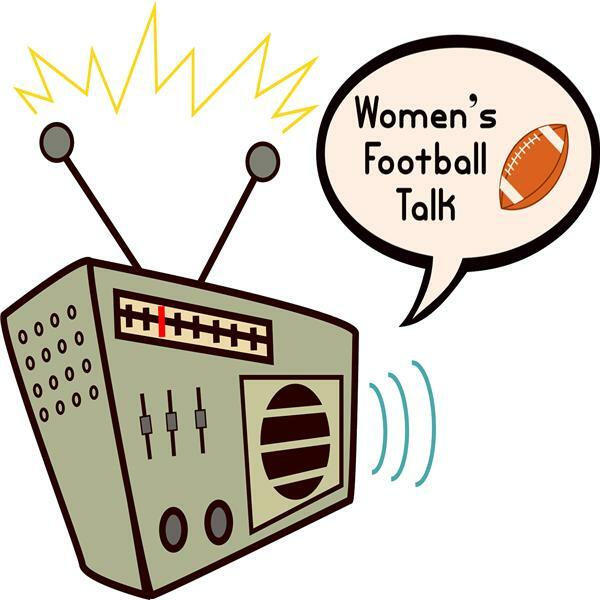 Join Diane Beruldsen, Tamalam Walker and Nance Wernes as they discuss all things Flag Football. For more information on the International Womens Flag Football Association and its upcoming tournaments, visit www.iwffa.com. You never know whats around the Quarter. Tune in every Monday, 7pm-pst. Brought to you by Adidas, Roger Athletics, 20 Second Fitness and AVIS Rent-A-Car. You never know whats around the Quarter. Tune in every Monday, 7pm-pst. Brought to you by Adidas, Roger Athletcis, 20 Second Fitness and Enterprise Rent-A-Car.